Eye Dull Musings: Flock of geese? It almost looks like a flock of geese. 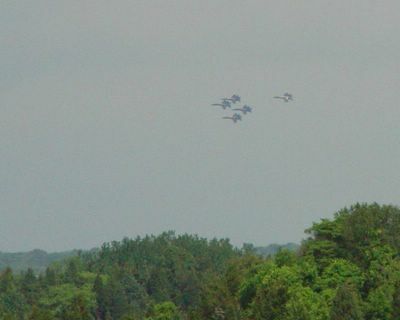 But no, those are jets flying in tight formation.